How does the music sound where you are? I love music. I love excellent design that's well-executed. And, for better and worse, I'm a bit of a perfectionist. That perfect storm all but guaranteed that me and high-end audio would find each other and get along very well. We did and we do. And that's what made me want to find a way to help connect other people with exceptionally well-designed and well-executed audio components and experience the exhilaration and joy of music played through a well-matched, finely-tuned system. And that brings us to Wes Bender Studio NYC. How does the music sound where you are? Let's talk. Advocate for an exclusive group of manufacturers—hand-picked for the quality of their components--by providing demonstrations in a relaxed listening environment and facilitating a one-to-one relationship between these manufacturers and their customers. WBSNYC is a response to the broken retail distribution model for manufacturers. And for customers, it's a better alternative to dealing with the traditional dealership and the traditional salesperson. By design, it bears no relationship to the traditional manufacturer/retailer relationship nor to the traditional salesperson/buyer-customer relationship. Wes Bender Studio NYC is located in Brooklyn New York conveniently located minutes from Lower Manhattan and near all major public transportation. In addition, ample indoor parking is available directly across the street. Set up a time to come by WBSNYC. 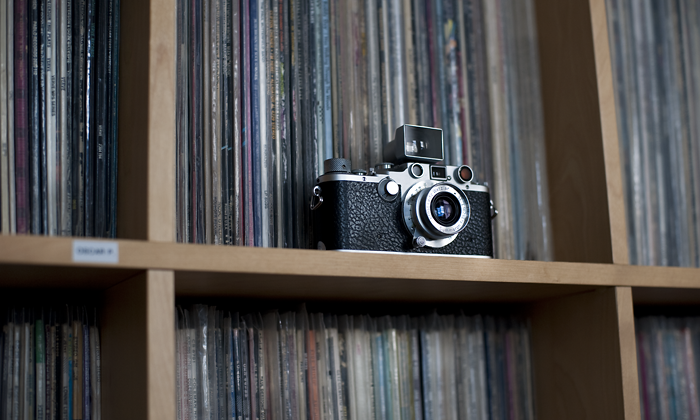 The loft-style space is appointed with an extensive collection of fine art, vintage Leica cameras, Stellavox, Studer and Revox tape recorders and a 5000 + vinyl collection. Paying homage to the artistry and ingenuity that are the hallmark of limited production hand-built luxury audio products, WBSNYC is a place where you can focus on the listening experience without the distractions, pressure and conflict of interest that exists in today’s over crowded multi-brand audio/video showrooms. Wes Bender is committed to making certain that each demonstration is optimized for maximum performance. In short, you will receive a consistent “best in class” demonstration when you visit WBSNYC. Come check it out, schedule a time now.